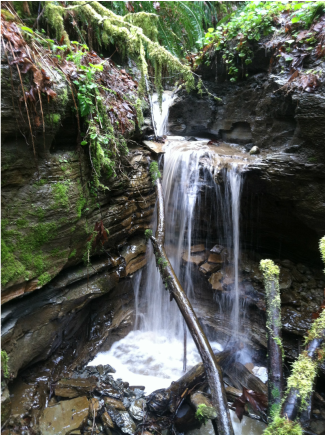 Click below to play a beautiful slideshow of North Creek Forest! A Forest Grows in Bothell - Our original presentation to raise public attention to the unique opportunity to conserve Bothell's last great forest. A Quick PowerPoint Overview - This is a short PowerPoint Overview of North Creek Forest. No Narrative text. Geographic Information Systems (GIS) Map - This is a large file depicting key forests, wetlands and surrounding schools. 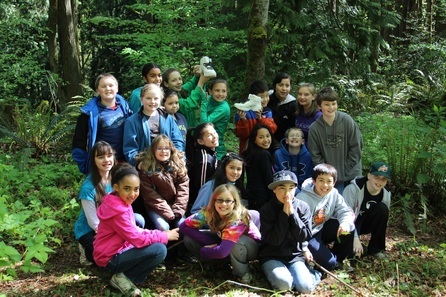 Video with Saint Brendan's Students - We partnered with Washington Wildlife and Recreation Coalition to produce this video of students doing plant diversity studies and used the occasion to thank Senator Murray for efforts to keep funding for our Land and Water Fund, very important to North Creek Forest. The kids autographed white hiking boots! 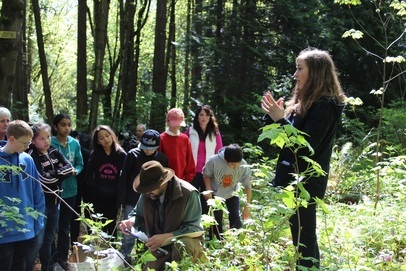 Hanna Clark from the WWRC tells students about the Land and Water Conservation Fund and how important it is to saving North Creek Forest, not for a few years, but forever. Land and Water Grant Presentation 2012 - Fourth Place in Washington State! Another grant winner. Offers updated graphics and shows progress in acquisition. Land and Water Grant Presentation 2011 - This is the presentation which placed second in Washington State. The trails shown of the Conceptual Site Plan are only conceptual. All trails will be designed by biologists to allow public access without disturbing wildlife and critical areas. Plants Map catalogs many of the plants growing on our restoration sites. Learn more about each plant, how it's being used in the restoration, and the traditional uses of many of them. See how each one grows and changes with the seasons.